Change is pain. Responses to change can range from frustration, anxiety, to fear and anywhere in between. 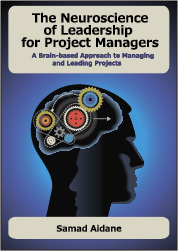 Understanding how the brain responds to change and how to create the right conditions for a more productive response to change enables us to be more effective as project managers and change leaders. Continuing this series on leading projects with the brain in mind, I have the great pleasure of speaking with Josephine Thomson on the neuroscience of effective change management. 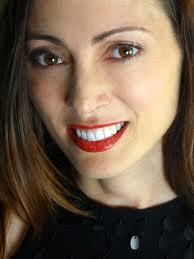 Josephine is an internationally certified master coach and is well sought after on the global speaking circuit. She is the Managing Director of Accelerated Excellence, Performance Coaching & Leadership Development Specialists. She is also an Associate Director for Results Coaching Systems. In December 2005 she was awarded the coaching profession’s highest credential through the International Coach Federation, Master Certified Coach (MCC), and is currently undertaking post graduate studies in Neuroscience of Leadership. Josephine was awarded Results Coach of the Year 2002, 2003 and 2004 (from 1500 certified coaches worldwide) and was a State Finalist for the Telstra Business Woman of the Year Awards 2005. Josephine coaches leaders and executives on their competitive edge, leadership presence, transition strategies and personal effectiveness. Having survived cancer twice, most recently a brain tumor in 2010, Josephine is devoted to sharing the learnings from her experiences for the improvement in the lives of others. She supports people in overcoming their fears and stressors; encouraging them to connect with life and powerfully express their true and authentic selves. Accelerated Excellence was formed in 2001 by Josephine Thomson. Accelerated Excellence coaches people to take spirited action for creating a more sustainable way of living, working and being. Their professionals provide the motive, method and momentum to create meaningful change for you and your community. Josephine, I enjoyed reading your blog post about change.. change can indeed be pain! Josephine, I really enjoyed your article and have just attended a presentation by David Rock a fellow Neuro-science colleague. A fascinating subject. I am doing an MSC at Oxford University on Leadership and Change Management. In am researching into the effects of a life changing experiences such as surviving cancer and how the “crisis” impacted their leadership style as a result of their journey. Would you be open to answering a few questions on how your journey has affected your leadership sytle, if at all.